If you want get your hands on a drone without shelling out the big bucks, build your own instead with Legos. 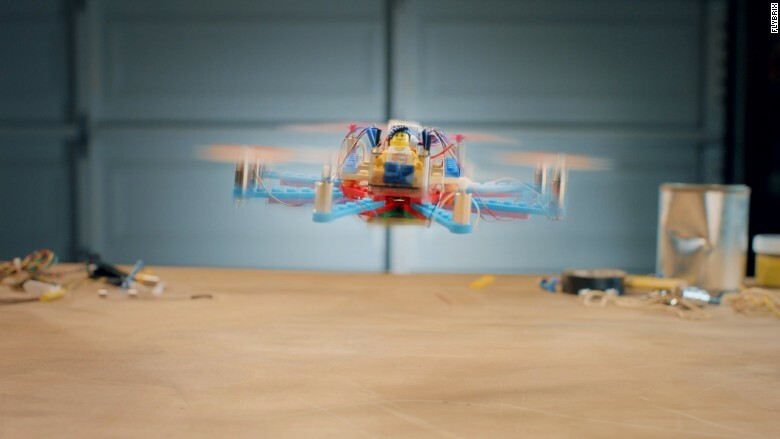 Flybrix, a San Francisco startup, launched on Thursday a DIY drone making kit that lets ordinary Lego bricks take flight. 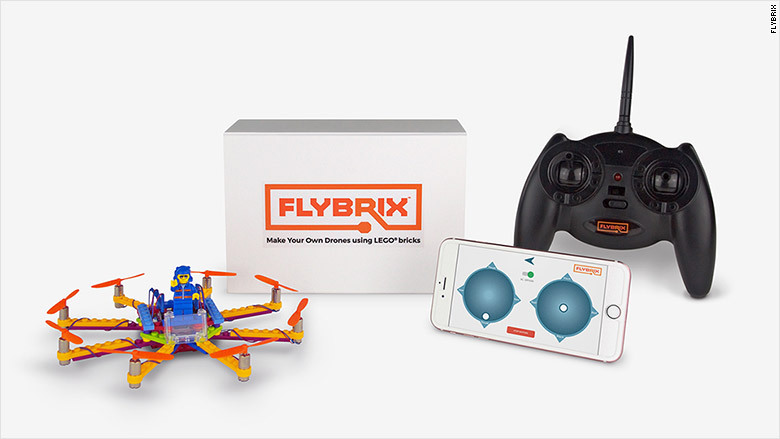 The Flybrix kit comes in two versions: the basic package ($189) that works with an app, and the deluxe ($249), which comes with a hand-held controller. Both are a few hundred dollars cheaper than most DIY drone kits in the market and are now available for purchase online. The kits include 56 small previously-owned Lego pieces collected from Lego wholesellers, which helps keep the price down. "It's also our attempt to keep Legos out of landfills," said Holly Kasun, co-founder and COO of Flybrix. If the 56 pieces aren't enough to fuel your imagination, the kit is compatible with Legos you already have at home. Included in the set is a pre-programmed circuit board with LED lights, motors, propellers to connect pieces and a mini pilot figurine. About 90% of the drone is made with Legos, with the exception of parts of the circuit board, motors and propellers. 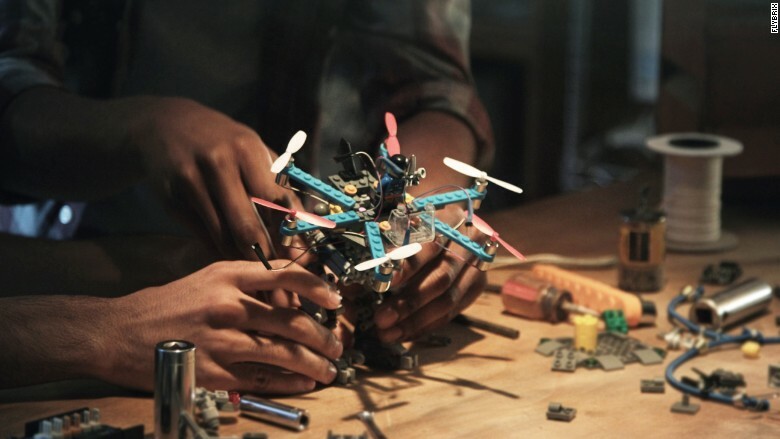 "Kids figure out how to build the drone, wire it and get it up in the air," said Kasun. "This involves applying basic physics, aerodynamics, geometry and math." There are no tools needed in the set-up process; all pieces snap on. This makes Flybrix unique from other DIY drone kits. "Normally, you'd have to find materials and solder them together to make your drone," she said. 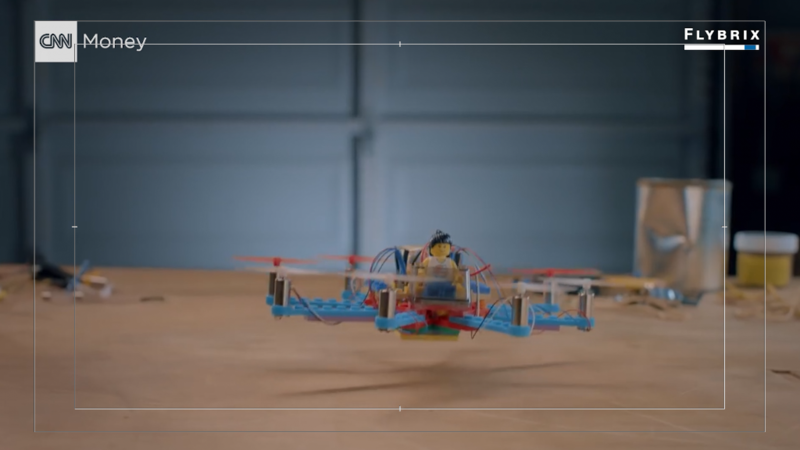 You can get creative with the design or use one of the included templates to make a quadcopter, hexacopter or an octocopter, which have 4, 6 and 8 motors, respectively. You'll then need to wire the circuit board and program the LED lights on it. If this sounds complicated, don't worry. It comes with instructions. The basic Flybrix kit is app-controlled; the deluxe version includes a controller. Once built, you can control the drone either via a Bluetooth flight control app on your smartphone or the hand-held remote-controller that comes with the deluxe package. You should be able to get between 5 to 7 minutes of flight time on a single charge. Co-founders Amir Hirsch, Robb Walters and Holly Kasun launched the startup in 2015 to find ways to break new ground with microdrones. Hirsch -- who studied electrical engineering at MIT -- and Walters, who earned a PhD in applied physics from Caltech, led the research and design. Meanwhile, Kasun comes from a marketing background. Their search for a lightweight break-proof prototype material drove them to Legos. "We knew the product worked because we were already building with them for our tests," Kasun said. "We talked with parents, hobbyists and drone enthusiasts, and the response was great." Co-founders Robb Walters, Amir Hirsch and Holly Kasun. The company, which spent most of this year testing the drones, funded their production through self-financing and outside capital. (It declined to comment on details related to investments). Kasun said parts for Flybrix are made in China and in the U.S.
Flybris is already working on the next iteration of the drones, which will include new features and capabilities. "We want Flybrix drones to offer a sandbox-style of learning," Kasun said. "You start with the basics and keep advancing your knowledge as you play and interact with it."